The steel materials with a certain shape, size and performance are made by ingots, billets or steel through plastic deformation under stress. According to the different processing temperature, steel can be divided into cold processing and hot processing. Steel is an essential material for national construction with a wide and varied application. According to the shape of cross-section, steel is generally divided into four categories: profile, plate, pipe and metal products. Smelting converter steelmaking process, open-hearth steelmaking process, electric furnace process. Deoxygenation and ingots. According to deoxidization degree, it can produce rimmed steel, killed steel and semi-killed steel. Ferrous metals mainly refer to iron, manganese, chromium and its alloys. Metals other than ferrous metals are called non-ferrous metals, such as copper, tin, lead, zinc, aluminum and brass, bronze, aluminum and bearing alloys. Building materials – rebar, wire, coil, round steel. Tubing – seamless tube, welded pipe. Sheet – cold, hot rolled sheet/roll, medium thickness plate, color coating board (galvanized sheet, color board, tin plate, aluminum zinc plate), silicon steel, strip steel. 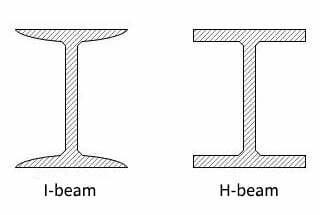 Profile – I-beam steel, angle steel, H section steel, square steel, flat steel, flat bulb steel. Includes: structural steel, tool steel, die steel, spring steel, bearing steel, cold heading steel, hard wire. Steel is an iron-carbon alloy with a carbon content of 0.0218%-2.11%. In order to ensure its toughness and plasticity, the carbon content is generally not more than 1.7%. (f) high-quality structural steel for a specific use. (e) high manganese wear-resistant steel. The quality inspection of steel and steel components has many projects, including tensile test, bending fatigue test, anti-pressure test, anti – folding test. For the steel materials and related products, the manufacturer can control product quality performance in the development and production process in real time which can avoid quality returns, raw material waste, etc. Carbon steel, also known as plain carbon steel, is an iron-carbon alloy with carbon content (wc) less than 2%. In addition to carbon, carbon steel generally contains a small amount of silicon, manganese, sulfur and phosphorus. Carbon structural steel can be divided into structural steel and machine manufacturing structural steel. Carbon steel can be divided into low carbon steel (wc less than 0.25%), medium carbon steel (wc 0.25%~0.6%) and high carbon steel (wc >0.0.6%) based on carbon content. Generally, the higher the carbon content in carbon steel, the higher the hardness and the strength, but the plasticity decreases. This kind of steel mainly guarantees mechanical properties, so its brand number reflects its mechanical properties, which is represented by Q+ number. Among them, “Q” is the prefix “qu” in Chinese pinyin, and the number indicates the yield point value, for example, Q275 indicates that the yield point is 275MPa. If the letter A, B, C and D are marked on the back, the quality grade of steel is different, the quantity of S and P is lower, and the quality of steel is improved successively. If the letter “F” is labeled after the grade, the” F” shall be the rimmed steel, and the “b” shall be semi-killed steel, and without the “F” or” b ” be labeled as the killed steel. 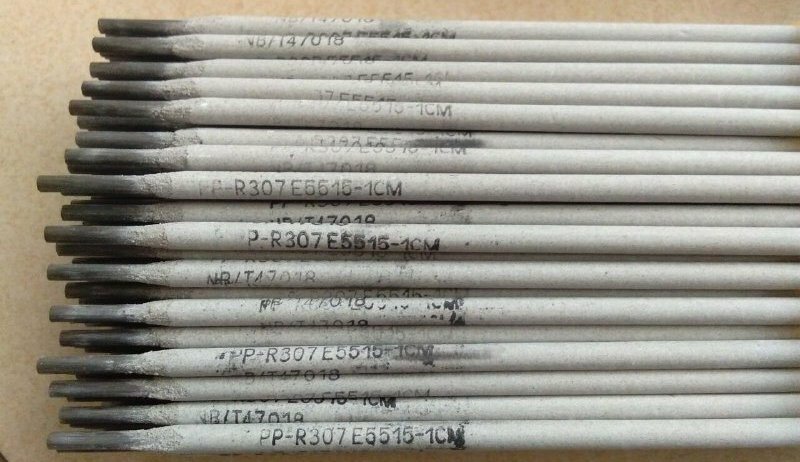 For example, Q235-A·F indicates that the yield point is 235MPa A – grade rimmed steel, and Q235-c indicates that the yield point is 235MPa grade c killed steel. Carbon structural steel is generally not treated with heat treatment and is used directly in the supply state. Generally, Q195, Q215, Q235 steel carbon has low-quality fraction, good welding performance, good plasticity, good toughness, and a certain strength. It is often rolled into the thin plate, steel bar, welded steel pipe, etc., and used for the construction of bridges, buildings and other parts such as ordinary rivets, screws and nuts. The carbon of Q255 and Q275 steel have higher quality scores, higher strength, better plasticity and toughness, and can be welded. Usually, it is made into section steel, steel bar and steel plate for structural parts and manufacturing simple mechanical linkage, gear, coupling, pin and other parts. This type of steel must ensure both chemical composition and mechanical properties. It uses two numbers to represent the average carbon quality score of the steel (wс×10000). For example, 45 steel indicates that the average carbon in steel is 0.45%. 08 steel indicates the quality fraction of the average carbon in steel is 0.08%. And the high-quality carbon structural steel is mainly used to make machine parts. Generally, heat treatment is required to improve mechanical properties. Depending on the quality of the carbon, there are different uses. 08, 08F, 10, 10F steel, which has high plasticity, toughness and good cold forming and welding performance, are often cold rolled into thin plates, been used for making cold stamping parts, such as car body, tractor cab, etc. 15, 20, 25 steel is used for the production of small size, light load, the abrasion resistance of the surface, and low carburizing parts, such as piston pin and sample, etc. 30, 35, 40, 45, 50 steel has good comprehensive mechanical properties after heat treatment (quenching + high-temperature tempering), which has high strength and high plasticity and toughness. They’re used in the production of shaft parts, such as 40 and 45 steel, which are used to make the crankshaft, connecting rod, general machine tool spindle, machine tool gear and other axle parts with a small force. After heat treatment (quenching + medium temperature tempering), 55, 60, 65 steel has a high elastic limit, often used to make the spring with small load, smaller size (less than 12 ~ 15 mm section size), such as regulating and governing spring, cold plunger spring, coil spring, etc. Carbon tool steels are high carbon steel with basically no alloy elements, with a carbon content of 0.65% ~ 1.35%. It featured low production cost, easy to get raw material sources and good cutting processability. After processing, high hardness and high wear resistance will be obtained, so it is widely used types of steel used to make all kinds of cutting tool, mold and measuring tool. But such steel has poor red hardness, which means when working temperature is greater than 250 ℃, the hardness and wear resistance of steel will fell sharply and lose the ability to work. In addition, if making larger parts with carbon tool steel, it is not easy to harden and prone to deformation and cracks. to add some elements that make the steel brittle, so that the chip is brittle when cutting, which is helpful to increase the cutting speed and prolong the life of the cutter. The elements that make the steel brittle are mainly sulfur, which is used in ordinary low alloy easy cutting structural steel, such as lead, tellurium, and bismuth. The sulfur content of this steel is within the range of 0.08% and 0.30%, and the Mn content is within 0.60% to 1.55%. The sulfur and manganese in steel exist in the form of manganese sulfide, and the manganese sulfide is brittle and has the lubrication efficiency so that the chip can break easily and improve the quality of the processing surface. In addition to iron, carbon and a small amount of unavoidable silicon, manganese, phosphorus and sulfur, the steel contains a certain amount of alloy elements. The alloy elements in steel include silicon, manganese, molybdenum, nickel, chromium, vanadium, titanium, niobium, boron, lead, rare earth, etc. The steel is called alloy steel. Alloy systems of all countries, along with their respective resources condition, the production and use condition, some countries are developing nickel and chromium steel systems. However, China is developing the alloy steel system based on silicon, manganese, vanadium, titanium, niobium, boron and rare earth. Alloy steel accounts for about 10-20% of the total output of steel. Generally, it can be divided into 8 types according to the purpose of smelting in the electric furnace. 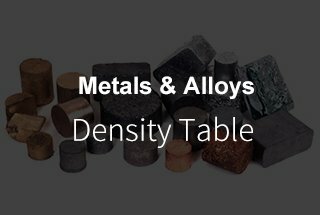 Ordinary low alloy steel is alloy steel with a small amount of alloying element (in most cases, its total amount is less than 3%). This kind of steel has high strength, good comprehensive performance, corrosion resistance, wear resistance, low-temperature resistance, good cutting performance, welding performance, etc. Under the condition to save scarce alloying elements (such as nickel, chromium), generally, 1 ton of ordinary low alloy steel can replace 1.2-1.3 ton of carbon steel, and its service life and use range are much more than carbon steel. Ordinary low alloy steel can be smelted in an open-hearth furnace and a converter, and the cost is similar to that of carbon steel. This refers to the engineering and alloy steel used for building structure, including the weldability of high-strength alloy structural steel, alloy steel, railway alloy steel, geological drilling alloy steel, pressure vessel alloy steel, high manganese steel, etc. This kind of steel is used for engineering and building structural parts. In alloy steel, the total amount of this kind of steel alloy is low, but the production and usage are large. This kind of steel refers to alloy steel which is suitable for manufacturing machine and machine parts. It is on the basis of high-quality carbon steel, suitable to add one or several alloy elements, to improve the strength, toughness and hardenability of steel. This type of steel is usually used after heat treatment (such as tempering and surface hardening). It mainly includes commonly used alloy structural steel and alloy spring steel, which include tempering process of alloy steel, surface hardening treatment of the alloy steel (carburizing steel, nitride steel, high frequency quenching on the surface of steel, etc. ), cold plastic molding with alloy steel (cold heading steel, cold extrusion, steel, etc.). The basic components of the chemical composition can be divided into Mn series steel, SiMn series steel, Cr series steel, CrMo series steel, CrNiMo steel, Nj series steel, B series steel, etc. The carbon content of the alloy structural steel is lower than that of carbon structure steel, which is generally within 0.15-0.5%. In addition to containing carbon, it also contains one or several alloy elements such as silicon, manganese, vanadium, titanium, boron and nickel, chromium, molybdenum, etc. Alloy structural steel is easy to harden and not deform or crack, so as to improve the performance of steel. Alloy structural steel is widely used in the manufacture of various transmission parts and fasteners for automobiles, tractors, ships, steam turbines and heavy-duty machine tools. Low carbon alloy steel is generally treated with carburizing. Medium carbon alloy steel is generally treated with thermal refining. Alloy tool steel is composed of various alloy elements, such as medium and high carbon steel which contain silicon, chromium, tungsten, molybdenum, vanadium and other. Alloy tool steel is easy to quench, not easy to produce deformation and crack, suitable for the manufacture of large size, shape complex tool, mold and measuring tools. For different purposes, the carbon content of alloy tool steel is different. 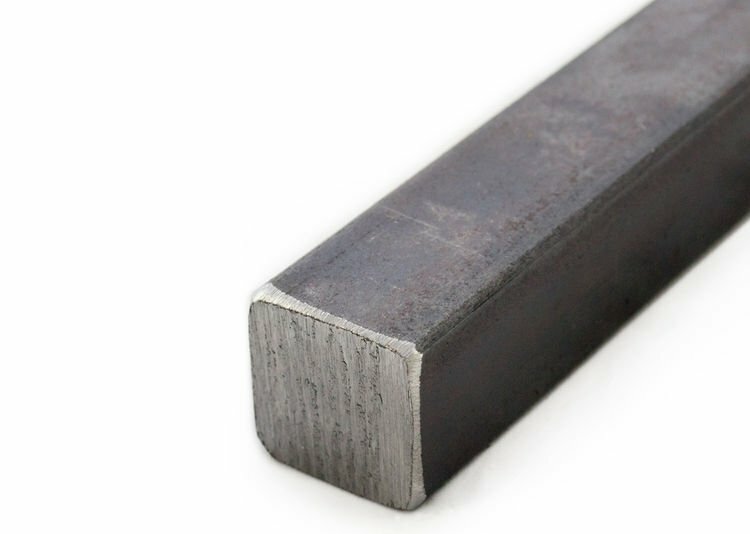 The carbon content of most alloy tool steel is 0.5% ~ 1.5%. The hot deformation dies are low in carbon steel and WC in the range of 0.3% ~ 0.6%. The cold machining dies are of high carbon content, such as graphite mold steel with a carbon content of 1.5%, and high carbon and chrome-type cold processing die with steel carbon content up to more than 2%. High-speed tool steels are high carbon and high alloy tool steels with a carbon content of 0.7% to 1.4%. Steel contains alloy elements that can form high hardness carbides, such as tungsten, molybdenum, chromium and vanadium. High-speed tool steels have high red hardness. Under the condition of high-speed cutting, the hardness will remain the same even the temperature reach as high as 500 – 600 degrees, which ensures good cutting performance. Spring is used in shock, vibration or long-term alternating stress, so it is required to have high tensile strength, elastic limit and high fatigue strength. In the technique, the spring steel is required to has hardenability, not easy to decarbonize, and good surface quality. Carbon spring steel is a high-quality carbon structural steel (including normal and high manganese content) within a range of 0.6% ~ 0.9%. The alloy spring steel is mainly silicon-manganese series steel, and their carbon content is slightly lower, which increases the performance mainly by increasing the silicon content WSi(1.3% ~ 2.8%). In addition, there is chromium, tungsten, and vanadium alloy spring steel. Bearing steel is used for making ball bearings, roller bearings and bearing rings. The bearing is subjected to great pressure and friction at work, so the bearing steel is required to have high and uniform hardness and wear resistance, and high elastic limit. The uniformity of chemical composition of bearing steel, the content and distribution of non-metallic inclusions and the distribution of carbides are very strict. Bearing steel is also known as high carbon chromium steel, with a carbon content of about l% and a chromium content of 0.5%-1.65%. Silicon steel used in the electrical industry is mainly used to manufacture silicon steel sheet for the electrical industry. 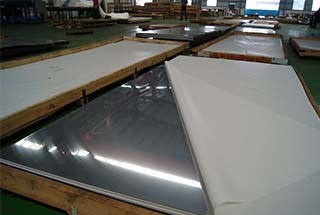 Silicon steel sheet is a large amount of steel used in the manufacture of motors and transformers. According to chemical composition, silicon steel can be divided into low silicon steel and high silicon steel. Low silicon steel content wSi1.0% ~ 2.5%, mainly used to make motor; High silicon steel content wSi 3.0% ~ 4.5%, generally used to make transformers. The rail is mainly subjected to the pressure and impact load of the rail vehicle, so it is required to have sufficient strength and hardness and a certain toughness. The commonly used steel rail steel is the carbon killed steel smelted by the open hearth furnace and converter. The carbon content is around 0.6-0.8% and it belongs to medium carbon steel and high carbon steel. However, the Mn content in steel is higher, in the range of 0.6%~1.1%. 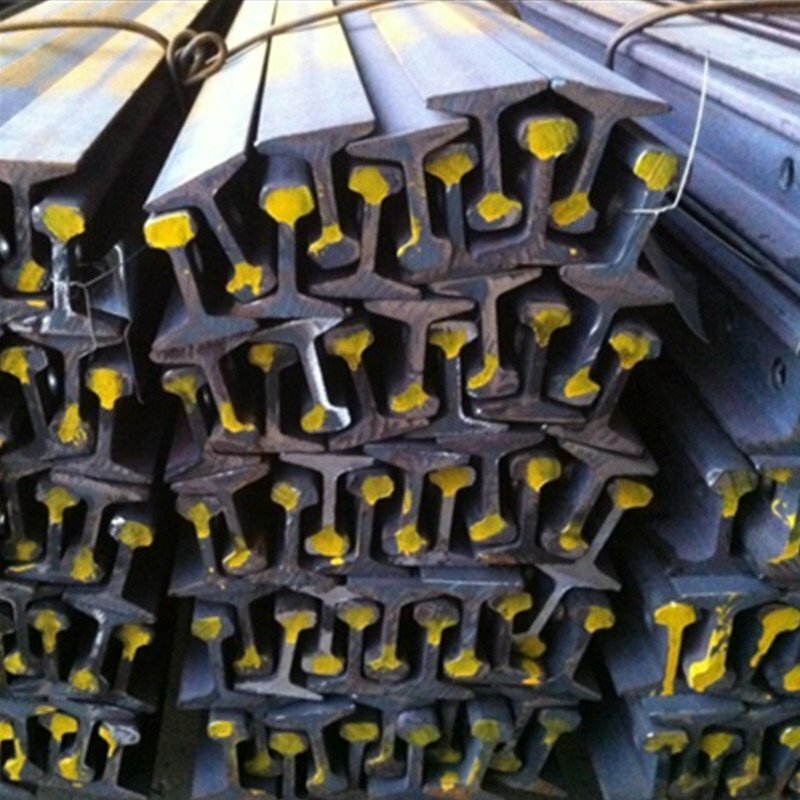 Common low alloy steel rails have been widely used, such as high silicon rail, medium manganese rail, copper rail, titanium rail, etc. Common low alloy rail is more resistant to wear and corrosion than carbon steel rail and its service life is greatly improved. Shipbuilding steel refers to the steel used to make ships and large inland river hull structures. Because the hull structure is generally made of welding method, it is required to have good welding performance. In addition, it also requires certain strength, toughness and certain low temperature and corrosion resistance. In the past, low carbon steel was mainly used as shipbuilding steel, such as 12 manganese boat, 16 manganese ship, 15 manganese vanadium ship all use this steel. These kinds of steel have high strength, good toughness, easy to process and welding, seawater corrosion and other comprehensive characteristics, can be used successfully to make ten thousand tons ocean liner. Railway or highway bridges bear the impact load of vehicles. The steel requirements of the bridge have certain strength, toughness and good fatigue resistance, and the surface quality of steel is higher. The steel of bridge steel is usually composed of basic open-hearth steel, and the common low alloy steel, such as 16Mn and 15Mn-V-N, is used successfully. Boiler steel mainly refers to the materials used to make superheater, main steam pipe and boiler fire chamber. The performance requirements of boiler steel are mainly good welding performance, certain high-temperature strength and corrosion resistance, oxidation resistance and so on. The commonly used boiler steel has a low carbon steel or furnace smelting low carbon steel, with a carbon content of 0.16% ~ 0.26%. 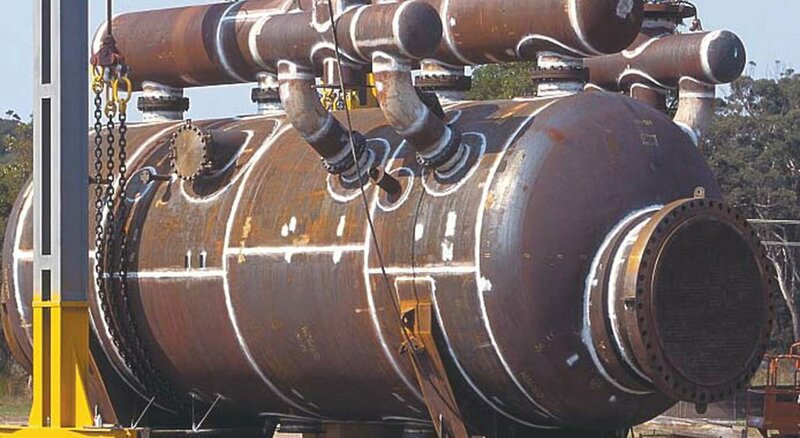 When the high-pressure boiler is manufactured, it is applied to heat-resistant steel or austenitic heat-resistant steel. It also uses ordinary low alloy steel to build boilers, such as 12Mn, 15Mn, 18Mn and mo niobium. This kind of steel is specialized for the manufacture of arc welding and gas welding rod wire. The composition of steel varies with the material used. According to the need, it roughly divided into three types: carbon steel, alloy structural steel and stainless steel. The sulfur and phosphorus content of these steel is not greater than 0.03%, which is stricter than general steel. The steel does not require mechanical properties, but only tests for chemical composition. 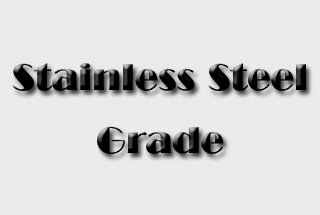 Stainless steel is the shortened form of stainless acid-resisting steel, it is made of stainless steel and acid steel. In short, steel that can resist atmospheric corrosion is called stainless steel, and steel that can resist chemical media, such as acids, is called acid-resistant steel. Generally speaking, steel with chromium content greater than 12% has the characteristics of stainless steel. In high-temperature conditions, steel with antioxidant properties and sufficiently high-temperature strength and good heat resistance is called heat-resistant steel. Heat-resistant steel consists of two classes: oxidation resistant steel and heat resisting steel. The antioxidizing steel is also called non-peeling steel. Hot steel is steel with good oxidation resistance and high-temperature strength at high temperature. Heat resistant steel is mainly used for long-term use in high temperature. The high-temperature alloy is a kind of hot resistant material with sufficient duration strength, creep strength, thermal fatigue strength, high-temperature toughness and sufficient chemical stability under high temperature. It is mainly used for thermal components working at a high temperature above 600 degrees Celsius. Precision alloys are alloys with special physical properties. It is an indispensable material in the electrical, electronic, precision instrument and automatic control system industry. Most precision alloys are based on ferrous metals, and only a few are based on nonferrous metals. Note: Wc, Ws, Wmn and Wp represent the mass fraction of C, S, Mn and P respectively. It refers to the steel used for making metal structural parts in buildings, bridges, ships, boilers or other projects. Such as carbon structural steel, low alloy steel, steel and so on. （2) Structural steel for mechanical manufacture refers to the steel used to make structural parts of mechanical equipment. This kind of steel is basically high-quality steel or high-grade steel, mainly include high-quality carbon structural steel, alloy structural steel, easy cutting structural steel, spring steel, rolling bearing steel, etc. Generally used in manufacturing various tools, such as carbon tool steel, alloy tool steel, high-speed tool steel, etc. It can be divided into cutlery steel, die steel and gauge steel. Steel with special properties, such as stainless steel, heat resistant steel, high resistance alloy, wear-resistant steel, magnetic steel, etc. This refers to the professional use of steel in various industrial sectors, such as steel for automobile, steel for agricultural machinery, steel for aviation, steel for chemical machinery, steel for boiler, steel for electrical, and steel for welding rods. Quality carbon structural steel, alloy structural steel, carbon tool steel and alloy tool steel, spring steel, bearing steel, etc. After the steel number, the symbol “A” is usually used to identify it. The circular section of the rolled material, such as round steel and circular steel tube cross-section, the diameter of each direction varies. The cross section geometry of rolled material is skewed and uneven. Such as six angles of hexagonal steel, large angle of angle steel, shape steel torsion, etc. The thickness of each part of steel plate (or steel belt) is different. Some of them are thick and thin in the middle, while some of them are thin and thick in the middle, and some of them have more than the regulation. The rolled piece is not straight in length or width and curves. The length of the steel plate (or strip) is bent on the horizontal plane. 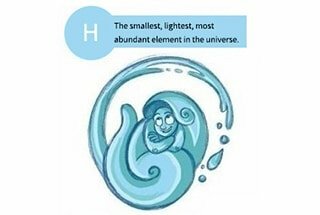 The steel plate (or steel band) has a wavy phenomenon of high and low fluctuation in the direction of length and width, making it a “water ladle shape” or “boat shape”. The strip is twisted along the vertical axis. The opposite sides of the square, rectangular sections of material are unequal or the diagonal of the cross-section are unequal. It is in a straight line, visible to the naked eye to the part or full length of the steel. It is usually in a straight line, sometimes in the Y shape, and is in the same direction as the drawing direction, but there are other directions, and the general opening is acute. The surface of a tongue shape or tilted up fish scales: one is to be connected with the body of steel, and it is not easy to fall off on the surface; the other is that there is no connection to the body of the steel, but the adhesion to the surface is easy to fall off. The steel surface is partially overlapped and has obvious fold lines. The rust on the surface of the steel, its color from apricot yellow to black red. After rust removal, there is rust pitting for a serious condition. The surface hairline is very shallow, the width is very small, generally along the rolling direction to form fine grain. 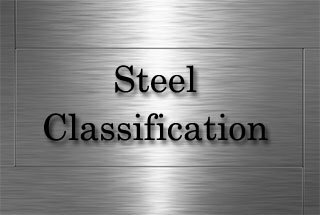 The section of steel has a distinct metallic structure, which is divided into two or three layers, with visible inclusions between layers. The irregular distribution of large and small convex hull on the surface, its outer edge is relatively smooth. Most of them have bulged, some are not plump and the surface is shiny after pickling, and the shear section is stratified. The surface presents a local or continuous rough surface, with different shapes and sizes of pits, and there are large and deep hemp spots like orange peel. After annealing, the steel plate (or steel strip) appears light yellow, dark brown, light blue, dark blue or bright grey. The surface has a strip or sheet of periodic rollers, its imprint is bright, and there is no obvious relief. 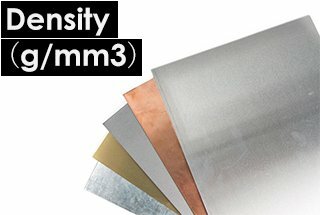 The incompact performance of steel. After the slice is eroded by acid, it is expanded into many caves, according to its distribution it can be divided into: generally loose, center loose. The non-uniform distribution of chemical composition and non-metallic inclusions in steel. According to its manifestation, it can be divided into: twig-shape, box-shape, point-shape segregation and reverse segregation. In the central part of the transverse acid leaching specimen, an irregular cavity or crack appears. Foreign impurities often remain in holes or cracks. In the horizontal acid test, we see some non-metallic luster, such as gray-white, beige and dark gray, etc., the residual oxide, sulfide and silicate in the steel. Some metallic salts with metallic gloss and base metals are seen on the transverse low – scale specimen. The decarburization is often seen on the base metal surrounding the network of oxides when the microstructure is observed. Other metals, such as copper and its alloys, have copper oxide along the grain boundary in a network or dot to the inside of the sample. It is a kind of internal rupture of steel. A round or oval white spot on the longitudinal fracture of a steel piece. In the transverse section after polishing and acid etching, it is characterized by long and slender hair crack. Sometimes they are radially distributed, sometimes parallel to the direction of deformation or irregular distribution. The acid leaching section has a strong metallic luster. The phenomenon that the surface carbon of steel is lower than that of inner carbon is called decarbonization. The whole decarburization layer refers to the surface of steel which is all ferritic parts due to decarburization. Partial decarburization refers to the organization where the carbon content of steel is not reduced after the whole decarburization layer. Standards are the uniform rules for repetitive things and concepts. It is based on the comprehensive results of science, technology and practical experience, and is approved by the competent authority and issued in a specific form, as a guideline and basis for the common observance. The standards stipulate that the performance indicators and quality requirements that the products should meet are called technical conditions, such as chemical composition, appearance size, surface quality, physical properties, mechanical properties, process performance, internal organization, delivery status, etc. The production of metal materials is the same as that of other industrial products. It is carried out in accordance with the uniform standards, and the delivery inspection system of the products is carried out. The unqualified metal materials are not allowed to be delivered. For the delivery of metal material, the manufacturer shall provide a certificate of quality to ensure its quality. The quality certificate of the metal material not only indicates the name, specification, delivery number and weight of the material but also provides all inspection results of the specified project. Certificate of quality is the supplier’s confirmation and guarantee for the inspection result of this batch of products, and is the basis for the reinspection and use of the buyer. According to the requirements of steel surface quality, shape and size, the quality of steel are divided into several grades, such as grade 1 and grade 2. Sometimes for a certain requirement for different levels, such as for surface quality can be divided into primary, secondary, tertiary, for surface decarburization layer depth is divided into one group, two groups, both said the difference on quality. Some metal materials, the standard has several sizes allowable deviation, and according to the size allowable deviation size, it is divided into several levels, called the precision grade. The accuracy grade is divided into general precision, high precision, high precision and so on. The higher the accuracy level, the smaller the allowable size deviation. When ordering, should pay attention to the accuracy class requirement to write the contract and other related documents. The grade of the metal material is the name given to each specific metal material. The number of metal materials generally can reflect the chemical composition. The grade not only indicates the specific variety of metal material but also can judge its quality roughly. 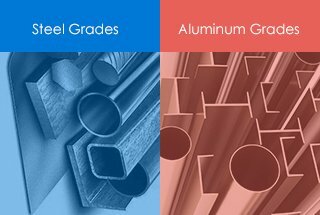 In this way, the grade can easily provide a common concept of the quality of specific metal materials, which can bring great convenience to production, use and management. The variety of metal materials refers to different products, such as use, appearance, production process, heat treatment status and granularity. 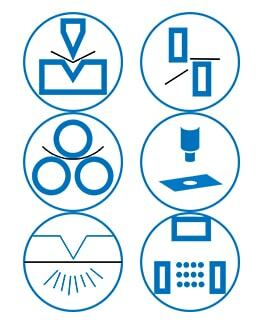 The model of the metal material refers to the symbol of different shapes, types of profiles and cemented carbide products in Chinese pinyin (or Latin) letters and one or several numbers. The number represents the nominal size of the main part. Specifications refer to the different sizes of the same variety or the same type of metal material. The general size is different, and the allowable deviation is different. In product standards, the specifications of the breed are usually ranged in order from small to large. It is divided into bright and non-bright. Commonly seen in steel wire and steel belt standard, the main difference is to adopt bright annealing or general annealing. 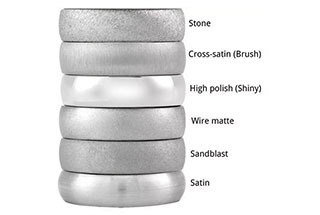 The polishing, pickling and coating are also treated as surface states. Edge state refers to whether cut the strip edge. The delivery status refers to the final plastic deformation process or final heat treatment state of the product. Delivery without heat treatment including hot rolling and cold rolling. It is generally referred to as the delivery state with heat treatment, which can be handled by normalizing, annealing, temperature-tempering, tempering and solid solution. Or, according to the heat treatment category, they’ve been called the normalizing, annealing, high temperature-tempering, tempering, etc. The degree of hardness of the steel is different with different heat treatment or hardening degree. 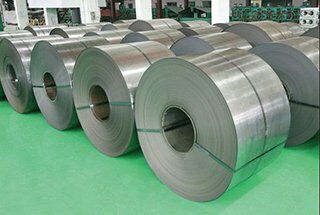 In the standard of some strip steel, it is divided into special soft steel strip, soft steel strip, semi-soft steel belt, low hard steel belt and hard steel belt. The longitudinal and transverse sections in the steel standard refer to the relative relation between rolling (forging) and drawing direction. Parallel to the processing direction is called longitudinal; Perpendicular to the processing direction is called horizontal. The samples taken along the processing direction are called longitudinal samples. The sample that is perpendicular to the processing direction is called transverse sample. In the longitudinal sample, the fracture is perpendicular to the rolling direction, so it is called transverse fracture. The fracture of the transverse sample is parallel to the processing direction, so it is called longitudinal fracture. 16 Theoretical quality and actual quality. These are two different ways of calculating the quality of delivery. According to the theoretical quality, the quality of delivery is calculated according to the nominal size and density of the material. According to the actual quality of delivery, the quality of delivery is calculated according to the weight of the material. 17 Nominal size and actual size. Nominal size refers to the nominal size specified in the standard, which is the ideal size to be obtained in the production process. However, in actual production, the actual size of steel is often greater than or less than nominal size, and the true size is called the actual size. Since the nominal size is difficult to achieve in actual production, there is a tolerance value between the actual size and nominal size, which is called deviation. If the differentials are negative, it’s called negative deviation; on the contrary, it’s called positive deviation. The sum of allowable positive and negative deviations specified in the standard is called tolerance. Deviation has directionality, which means “positive” or “negative”, and the tolerance has no direction. Fixed length, the length of steel in the standard range and there is no fixed length is called the usual length. However, in order for convenient package, transportation and measurement, the enterprises cut steel, according to the situation, to the size of several different lengths to avoid the random ruler, called the short ruler length. It refers to the smelting of steel furnaces, such as open-hearth furnace, electric arc furnace, electroslag furnace, vacuum induction furnace and mixed steelmaking. 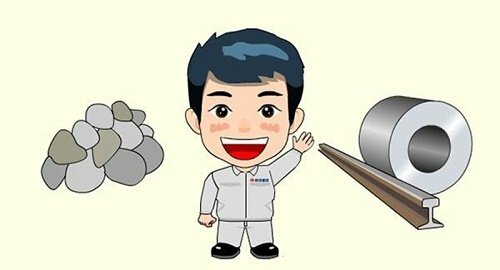 Meaning of the word “smelting method” in the standard, does not include the concepts of the deoxidization methods (such as the total DNA of killed steel, half of deoxidization and killed steel and rimmed steel) and pouring method (above note, bet, continuous casting). It refers to the chemical composition of steel products, including main components and impurity elements. Its content is expressed as a percentage of weight. 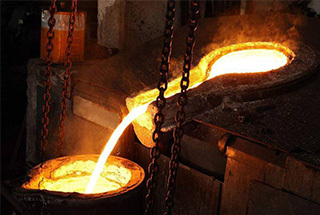 The smelting composition of steel refers to the chemical composition of steel in the process of smelting (such as deoxygenation of the tank) and pouring in the medium time. The finished component of steel, also called verification analysis component, which refers to the sample is drilled or planned according to the prescribed method (see GB/T222), and the chemical composition is analyzed according to the standard method. The finished products of the steel are mainly used for the inspection and acceptance of steel by the department or inspection department. The production plant generally does not complete the finished product analysis but should ensure that the finished components meet the standard requirements. Some of the main products or sometimes for some reason (such as process modification, quality instability, melting composition near the upper and lower limit, smelting analysis, etc. ), the production plant also does the composition analysis of finished products. ④ Ensure high mechanical properties and process performance. 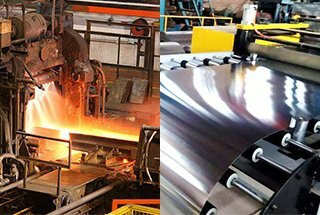 After hot rolling or forging, the steel is no longer specially heat treated, and the direct delivery after cooling is called hot rolling or hot forging. End temperature of the hot rolled (forging) generally is 800 ~ 900 ℃, generally in the air after natural cooling, and hot rolling (forging) status equivalent to normalizing treatment. The difference is that the temperature of the end of hot rolling (forging) is high and low, and it is not as strict as the heating temperature of the normalizing. Therefore, the fluctuation ratio of the steel structure and the performance is larger than that of normalizing. Many steel companies using controlled rolling, because of the finishing temperature control is very strict, and forced cooling measures after finishing, thus make the grain of steel refining, steel delivery has higher comprehensive mechanical properties. This is the reason that the non-torsional cold hot rolling strip is superior to the ordinary hot rolled strip. Hot rolled steel, due to a coating of iron oxide, has certain corrosion resistance. The storage and transportation requirements are not as strict as those delivered in the cold drawn (rolled) state. Large and medium-sized steel, medium and thick steel plate can be stored in the open yard or under the cover. Cold drawn, cold rolled and other cold processed steel, without any heat treatment and direct delivery of the state, called cold drawn or cold rolling state. Compared with hot rolling (forging), the steel size has high precision, good surface quality, low surface roughness, and high mechanical properties. Because the steel surface of cold drawn (rolling) state is not covered by oxide coating, and there is a large internal stress, it is easy to suffer corrosion or rust. Therefore, the steel of cold drawn (rolling) state has strict requirements on packaging and storage and transportation. Generally, it should be kept in the warehouse, and the temperature and humidity control in the warehouse should be paid attention to. The steel is in hot treatment before leaving the factory, this kind of delivery status is called normalizing state. Due to quenching heating temperature (hyposteel Ac3+30～50°C, hypereutectoid steel Accm+30～50°C) strict than hot end temperature control, and uniform steel organization and performance. Compared with the steel annealing state, as a result of normalizing cooling speed faster, the number of pearlite in the structure of steel is increased, and the grain size of pearlitic laminates and steel is refined, and therefore have higher comprehensive mechanical properties. It is also helpful to improve the network of carburizing bodies of Widmannstatten structure and hypereutectic steel. It can be prepared for further heat treatment of finished products. Carbon – bonded steel and welded steel are usually delivered in a normalizing state. Some low-alloy high-strength steel, such as 14MnMoVBRE and 14CrMnMoVB steel, are also required to be delivered in a normalizing state in order to obtain bainite tissue. Steel is annealed before delivery, and this kind of delivery status is called annealing state. The purpose of annealing is to eliminate and improve the organizational defects and internal stresses left over from the preceding process and to prepare for the organization and performance of the latter process. Alloy structural steel, guarantee hardening structure steel, cold heading steel, bearing steel, tool steels, turbine blades, steel, iron wire type stainless steel and steel delivered in annealing state. The steel is annealed at high temperature before delivery. This state of delivery is called high-temperature tempering state. High temperature-tempering temperature is conducive to completely eliminating internal stress, improving plasticity and toughness, carbon structure, alloy steel, and ensuring hardenability. Structural steel can be delivered at high-temperature tempering state. Therefore, this kind of steel has good machining performance. The steel products are treated with a solid solution before leaving the factory, which is called a solid solution treatment state. This state is mainly applicable to the treatment of austenitic stainless steel before leaving the factory. The single phase austenitic organization is obtained by solid solution treatment to improve the toughness and plastic of the steel, create conditions for further cold processing (cold rolled or cold drawn), can also be prepared for further precipitation hardening. Steel actuals have also been called Steelphysicals. It refers to the steel products available for shipment, storage and manufacturing. Cash available for delivery can be converted into cash at sight or on a long-term basis, or by first paying the goods, which the buyer will pay in a very short period of time. It is the symmetry of steel futures. A spot transaction is a way of dealing with the delivery of money by hand, or by a barter trade. Spot transactions generally apply to agricultural and sideline products, small wholesale and retail transactions. ① The purpose of the transaction is to obtain the ownership of the goods. ② In terms of trading, it is usually done through one-to-one negotiation without focusing on a specific time and place. Steel futures are the futures of the subject matter of steel, and the steel futures that can be traded are rebar futures, wire futures and hot roll futures. The fixed size range of steel is an effective measure to save materials. Or delivering a fixed length or size. The production unit can supply the goods according to this size. In the standard range, and does not require a fixed size is called non-fixed size. Non-fixed length is also called normal length. A metal material delivered by non-fixed length can be delivered within the specified length range. For example, ordinary round steel, which is not more than 25mm, usually has a length of 4-10m, and the round steel in this range can be delivered. Cut to a fixed size according to the order. The metal material required to be delivered at the specified length shall have the length specified in the order contract. For example, if the contract is marked with a length of 5m, the material delivered must be 5m long, short of 5m or longer than 5m is not qualified. However, the actual delivery cannot be all 5m long, so it is allowed to have positive deviation and not allow negative deviation. The standard length of railway tracks is 12.5m and 25m. 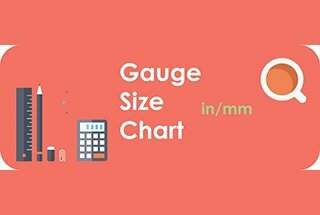 The dimensions of round steel, wire and steel wire are calibrated by mm (mm) in diameter d.
The dimension of square steel is calibrated by the mm (mm) of the side length a. The dimensions of hexagonal steel and octagonal steel are calibrated to the mm (mm) of the edge distance s.
The size of flat steel is calibrated with the width b and mm (mm) of thickness d.
The size of I-steel and channel steel is calibrated with the height of the waist h, the width of the legs b and the mm (mm) of the waist thick d.
The dimension of equilateral angle steel is calibrated with the equal width b and edge thickness d. The dimensions of the unequal angles are calibrated by the edge width B, b, and edge thickness d.
The size of h-beam is calibrated with the height of the web H, the width of the wing plate b and the thickness of the web t1, and the blade thickness t2. The length of steel plate and steel strip. 1）Generally the thickness of steel plate d (mm) is calibrated. The steel strip is calibrated with the width of the steel band b and the thickness d.
1）Generally, the diameter D, inner diameter and wall thickness S (mm) of the steel tube are calibrated. 2）Each type of steel tube has a specified different size, such as the outer diameter of the seamless steel tube is 50mm, and the wall thickness is 2.5-10mm. Or the same wall thickness is 5mm, the outer diameter is 32-195mm. Besides, the example like the wall thickness of the welded steel tube is 25mm and the thickness of the steel tube is 3.25mm and 4mm. The theoretical weight of the steel is called theoretical weight based on the nominal size and density (formerly known as gravity) of the steel. This is directly related to the length dimension, sectional area and allowable deviation of steel. 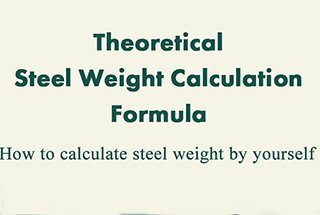 Due to the allowable deviation of the steel in the manufacturing process, the theoretical weight calculated by the formula is different from the actual weight, so it is only a reference for the estimation. 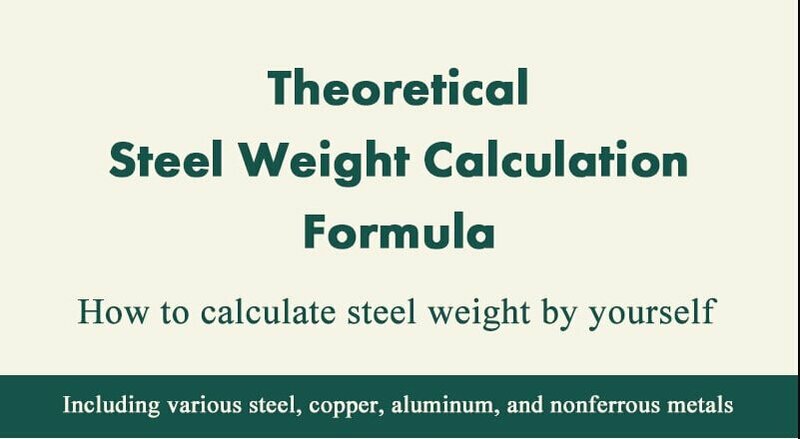 Now you can check out the theoretical steel weight calculation formula to learn how to calculate steel weight on your own. The actual weight of steel is the weight gained from the actual weighing of the steel, which is called the actual weight. The actual weight is more accurate than the theoretical weight. Select a suitable site and warehouse. The site or storehouse for the storage of steel should be kept in a clean and unobstructed place, away from the mines that produce harmful gas or dust. Remove weeds and all debris on the ground to keep the steel clean. In the warehouse, it must not be piled up with acid, alkali, salt, cement and other materials that are corrosive to steel. Different types of steel should be stacked separately to prevent confusion and prevent contact corrosion. Large section steel, rail, insult steel plate, large caliber steel pipe, forgings can be piled up in the open air. Small and medium-sized steel, rod, steel, medium caliber steel pipe, steel wire and wire rope, can be stored in a well-ventilated material shed but must be covered and pad up. Some small steel, thin steel plate, steel belt, silicon steel sheet, small diameter or thin wall steel tube, various cold rolling, cold drawn steel and easy to corrode metal products, can deposit into the warehouse. The storehouse should be chosen according to geographical condition, commonly use generally closed storehouse, namely have the roof with the wall, door and window are closed, the storehouse that has ventilated device. The storeroom requires the weather to be ventilated on a sunny day, pay attention to turn off the damp on rainy days, maintain a proper storage environment. The principle of stacking is to ensure that the stacking is stable and safe so that the materials of different varieties should be palletized to prevent confusion and corrosion. It is forbidden to store articles with a corrosive effect on steel in the vicinity of the stack. The bottom of the pile should be high, strong and flat to prevent moisture or deformation of the material. In the open air, there must be a wooden mat or a strip of steel, and a slightly sloping side of the stack, to help drain the water, and to keep the material flat to prevent bending. The height of stacking, no more than 1.2m in manual operation, no more than 1.5m in the mechanical operation, no more than 2.5m in width. Protect the packaging and protection of materials. Antiseptic substance or other plating and packaging painted before leaving the steel plant are one important measure to prevent corrosion of materials. In the course of transportation and handling, it is necessary to protect the material and not damage it. Keep the warehouse clean and strengthen the maintenance of materials. The steel should be careful to prevent rain or mixed impurities before entering the warehouse. The steel that has been wet or stained should be cleaned according to their nature, such as using a steel wire brush for steel with high hardness and using cloth or cotton for steel with low hardness. 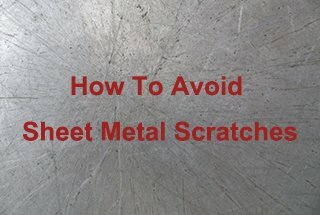 The steel should be checked regularly after entering the warehouse. If there is rust, remove the rust layer. General steel surface is removed after cleaning, do not apply oil. But for high-quality steel, alloy thin steel plate, thin wall tube, alloy steel tube, after the rust, the inside and outside surfaces should be coated with anti-rust oil before storage. 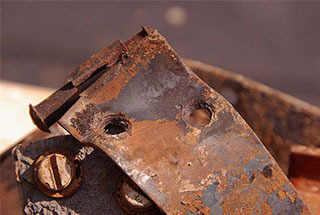 For the steel with serious corrosion, it should be used as soon as possible after the rust removal. State macroeconomic performance and main indicators. The trend of the international steel market, the quantity and price of import and export, and the relevant policies of the state on import and export. 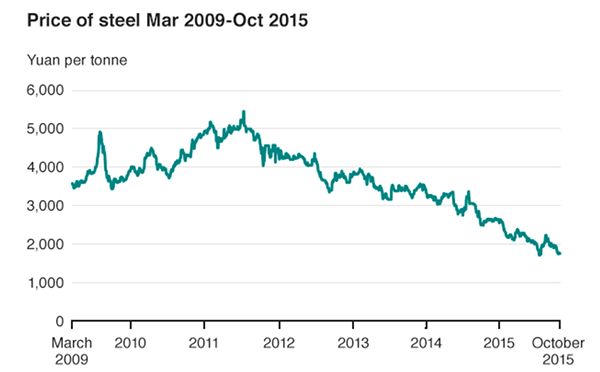 The overall trend of the national steel market. Dominate the overall trend of the city market. Economic performance of the industry: macro-control policy, important decision-making within the industry, development situation and demand of the industry. The trend of major cities around the place. Plant factors: factory price change, the cost change, inventory, overhaul and production planning. Dealer factors: psychological expectation, future prediction, capital turnover, inventory and resources. End-user factors: psychological expectation, resource reserve, prediction of the future market, rigid demand. Transient factors: transportation, weather, seasonal effects, local regional characteristics, etc. Ore selection – coking – iron – ironmaking – steelmaking – casting – hot rolling – cold rolling – plating, etc. You can also check out the infographic regarding how the steel been made from iron ore. In addition to Fe, the main chemical composition of steel, there are also a small amount of carbon (C), silicon (Si), Mn (Mn), phosphorus (P), sulfur (S), oxygen (0), nitrogen (N), titanium (Ti), vanadium (V), etc. These elements have very little content but have a great influence on the performance of steel. Carbon is the most important element that determines the properties of steel. It affects the mechanical properties of steel, such as strength, plasticity and toughness. When the carbon content in steel is below 0.8%, with the increase of carbon content, the strength and hardness of the steel increases, and the plasticity and toughness decrease. However, when the carbon content is greater than 1.0%, the strength of the steel decreases with the increase of carbon content. Carbon steel for general engineering is low carbon steel, which is less than 0.25%, and less than 0.52% of carbon steel with low alloy steel. The beneficial elements in steel include manganese, silicon, vanadium, titanium, etc., controlling the incorporation amount can be smelted into low alloy steel. The main harmful elements in steel are sulfur, phosphorus and oxygen, and special attention should be paid to controlling their content. Phosphorus is one of the most harmful elements in steel and is mainly soluble in ferrite. The phosphorus content increased, the strength and hardness of the steel increased, and the plasticity and toughness decreased significantly. 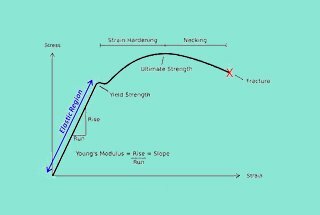 In particular, the lower the temperature, the greater the influence on plasticity and toughness, thus significantly increasing the cold brittleness of steel. Phosphor also makes steel weldability significantly reduced, but phosphorus can improve the wear resistance and corrosion resistance of steel. Phosphorus in high percentages is an impurity, low percentages (about 0.05%) improves machinability and slightly improves strength and corrosion of low carbon steel. 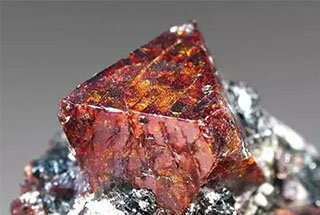 Sulfur is also a very harmful element, and the non-metallic sulfide inclusions exist in the steel and reduce the mechanical properties of the steel. Sulfur is nice for machining, help low, and does cause hot cracking. Due to the low melting point of sulfide, the separation of grain in the process of hot processing caused the steel to break, and the hot brittle phenomenon is called hot brittleness. 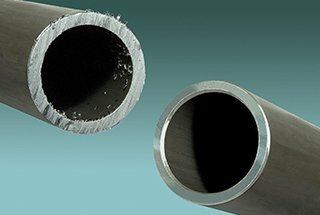 The sulfur makes steel’s weldability, impact toughness, fatigue resistance and corrosion resistance lower. Oxygen is a harmful element in steel. It is mainly found in non-metallic inclusions. A small amount is melted into ferrite. Non-metallic inclusions reduce the mechanical properties of steel, especially toughness. Oxygen has the effect of promoting the aging tendency. The low melting point caused by oxide also makes the weldability of steel reduced.